Dismissing the remarks made by the prime minister, CM Kumaraswamy claimed that more than 60,000 farmers have been benefitted by the state government's loan waiver scheme. Karnataka Chief Minister HD Kumaraswamy on Sunday lashed out at Prime Minister Narendra Modi for calling his government's loan waiver scheme for farmers 'one of the cruel jokes'. He also accused PM Modi of misleading the county for 'political gains'. "Crop loan waiver is a commitment our government has made to the farmers of the state to safeguard their interest and the process has already begun and made significant payments. "It is very sad that he (Modi) sees it as a 'cruel joke on farmers,' (thus) misleading the people of the nation without obtaining the full facts about the scheme," Kumaraswamy was quoted as saying in a statement released by his office on Sunday. Earlier on Friday, PM Modi, while addressing party workers of the state via video conference said,"What they (state government) have done in the name of loan waiver will go down in the history as one of the most cruel jokes on farmers. After six months in power, news reports said the government could only benefit a handful of farmers with their loan waiver scheme." "These people go around the country claiming credit for what they have done for farmers. Will they also take credit for the farmers committing suicide in Karnataka," Modi had posed. The Kumaraswamy-led state government had announced over Rs 45,000 crore loan waiver scheme in July soon after coming to power. But it has been bogged down by several issues relating to banks. 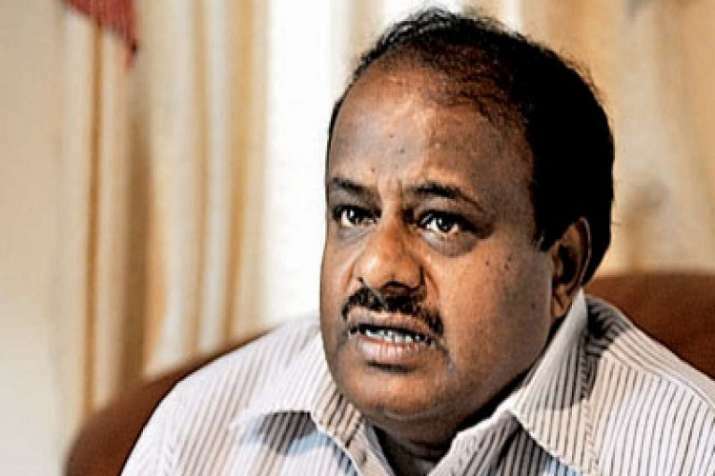 Asserting that making such remarks "is indeed not expected on the part of the honourable prime minister," Kumaraswamy accused the Centre of not coming to the rescue of farmers. "Despite making repeated requests, the Union government has not come to the rescue of farmers and now the honourable prime minister demeaning the state government for political gains by making such incorrect remarks is inappropriate on his part," the chief minister said. He said the Centre had not responded to the protests of distressed farmers in New Delhi and was now mocking the Karnataka government's serious efforts to bail out the farmers, which is very undesirable. Sharing some facts about the loan waiver scheme, Kumaraswamy asked Modi to "kindly note" them before making such "incorrect statements". Noting that the crop loan waiver scheme was an open book and the information was available online unlike any other state, the chief minister said the Karnataka government was handling honest tax payers' money with caution to reach out to true farmers. It is being ensured that every genuine farmer gets the benefit. It would also make sure that all middlemen, particularly in the co-operative sector, are weeded out, he said. "So far, Rs 350 crore has been paid electronically into individual bank accounts of about 60,000 farmers. Payments are being made every week electronically into farmers' loan/savings bank account. Next week, another one lakh farmers will get about Rs 400 crore," Kumaraswamy said. Pointing out that as many as 8.5 lakh farmers have given their Aadhaar, ration card and RTC details out of 21 lakh farmers in commercial crop loans in about 10 days, he said, "We will cover all genuine farmers by the end of January, 2019." Addressing a rally at Ghazipur in Uttar Pradesh last week, the prime minister had said the Congress promised loan waivers to lakhs of farmers, but the JD(S)-Congress coalition did not deliver. "Lollipops" were handed out. The loan waiver was given to only 800 farmers, Modi had claimed.